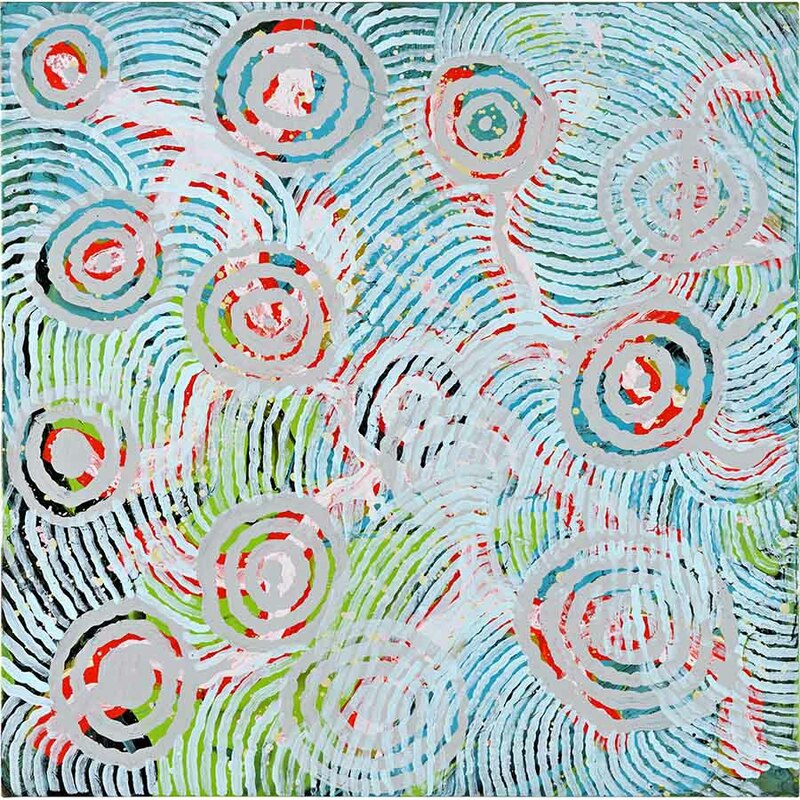 Michael Nelson began painting some 25 years ago in Papunya, Central Australia, in the classic dot and circle tradition of desert sand painting. Much of his work centres on the country in the Mt Singleton area and tells of traditional Dreaming stories including Yam, Possum, Kangaroo, Emu and Lightning. 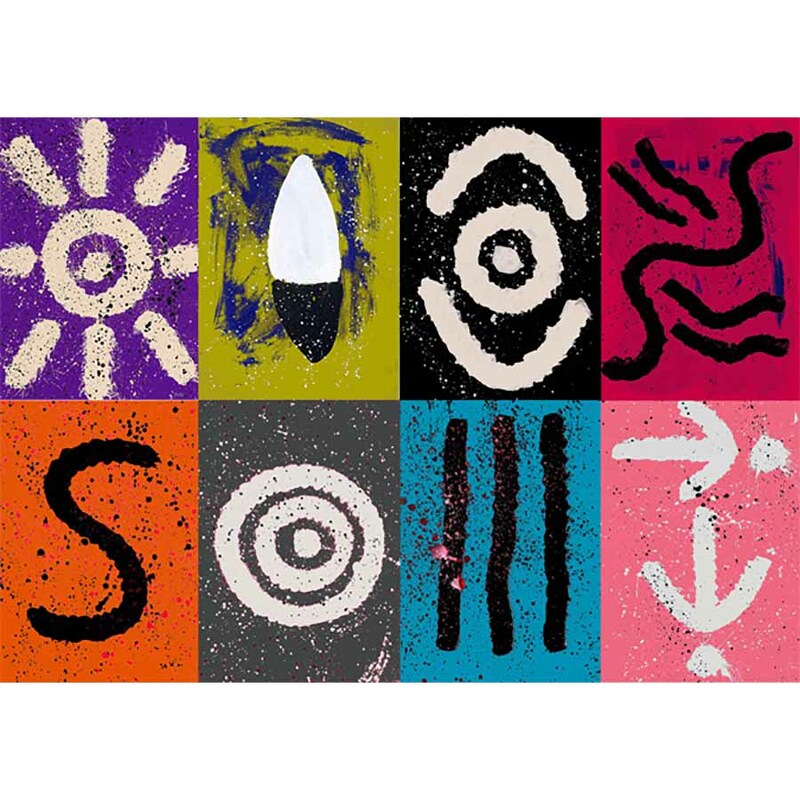 Michael Nelson was recognised nationally and internationally in the late 1980s through numerous public art commissions and awards including the 1984 Telstra National Aboriginal Art Award. 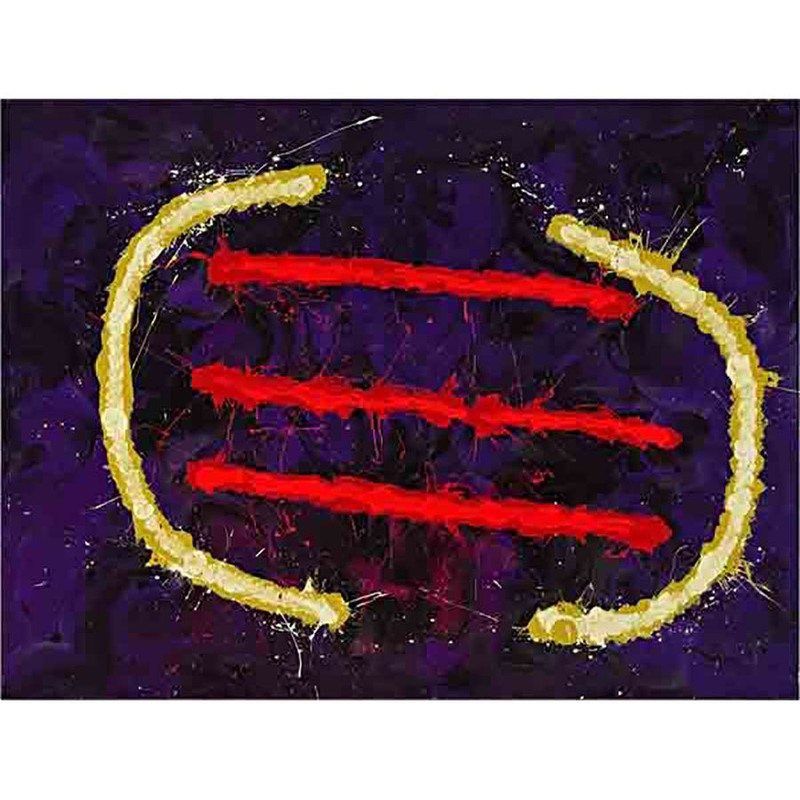 During the late 1990s, he reinvented his approach to painting with a more expressionistic style. He continues to make the salient point that although his choice of colours, materials and appearance of works are continually being reformatted, his stories have never changed. 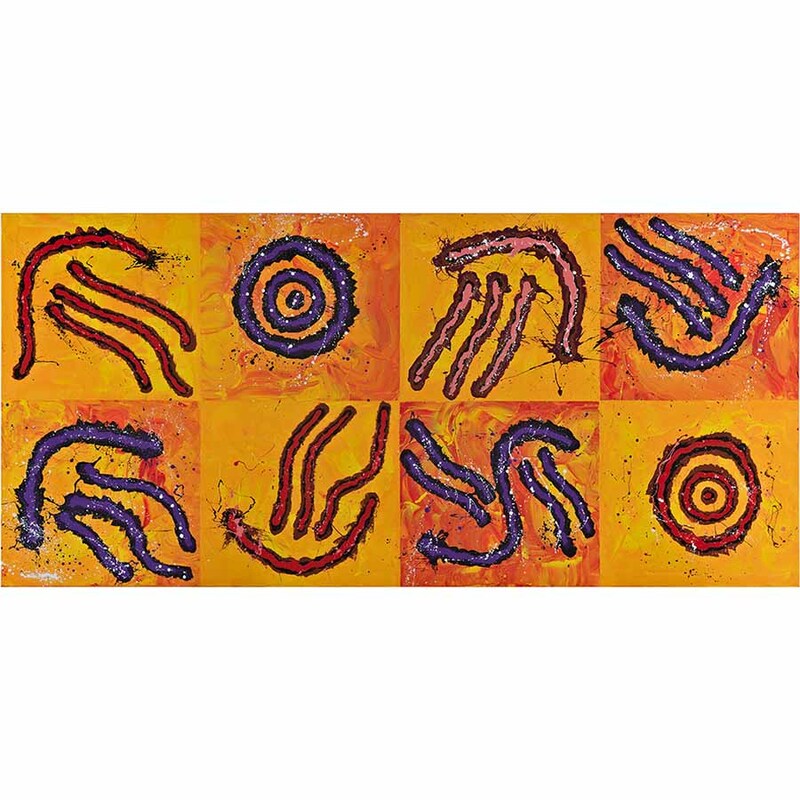 The artist’s significant contribution to Aboriginal Art was recognised in 2008, when he was awarded an Honorary Doctorate from the University of New South Wales. His works are held in numerous private, corporate and most public collections in Australia including the National Gallery of Australia and the National Museum of Australia. 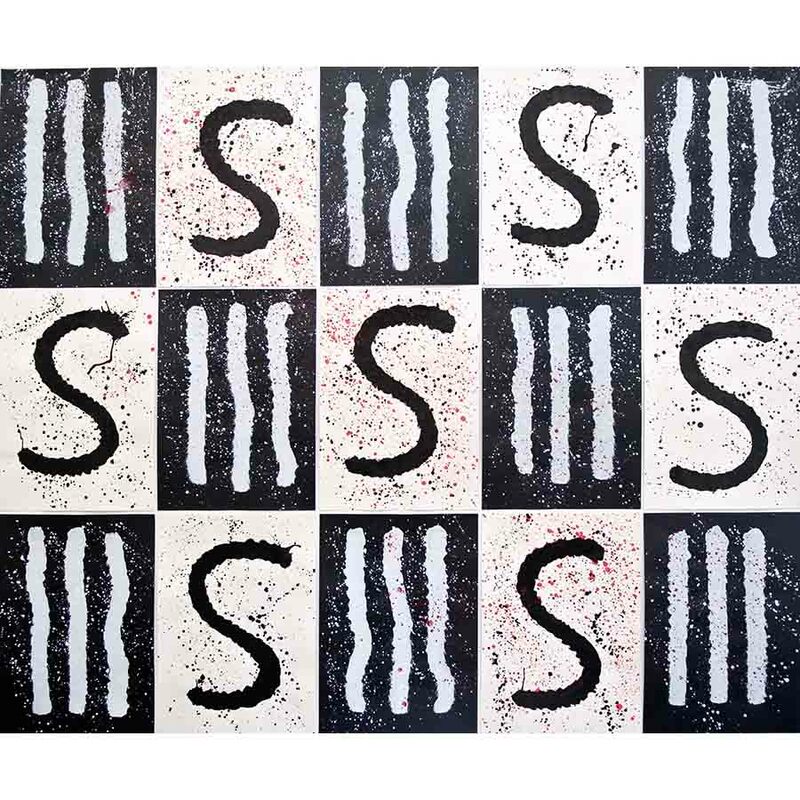 Internationally renowned Jagamara reveals his Rain & Lightning stories both through painting, such as Three Strikes IV, as well as classic hard-edged sculptures. These 3D forms are fabricated in a variety of indoor and outdoor materials including bronze, polished stainless steel, aluminium and 2pac polyurethane. Concentric circles usually represent a specific site such as waterholes and campsites—locations of physical and/or spiritual significance. The ‘site’ is the starting point for many stories. Ground paintings for ceremonial ‘sites’ are created in the sand, linking people and places with stories and songs. Lines radiating from the centre depict the yam with its web-like vine system. The central section is a design painted on the body of participants during Yala (Yam or Bush Potato) ceremonies. The Yala ancestors travelled underground through huge areas of the Central Desert, which is why Yam stories are found all over Australia. The ‘E’ shape represents the possum paw print travelling over country. The Possum is often portrayed as a promiscuous person, who roamed far and wide from the site of Mawarriji, taking wives from every camp. Eventually, he was chased away by angry people—the sinuous line shows the mark made in the sand by the dragging tail of the Possum. The Possum love story ceremony is about a Possum Man and Woman who fell in love. Strict laws prevent certain skin groups from intermarriage, so they ran off together to the west. They were chased and punished as a lesson to others. Old Man Dreaming is from the site of Kunajarrayi, and is sacred men’s business. The U shape is man sitting on the ground during ceremony with his Nulla Nulla (horizontal line) placed in front of him. The central line represents the distinctive track made in the sand by the tail, with the hind legs either side. Traditionally, Kangaroo ancestors angered Warnayarra (The Rainbow Snake) at Mawarriji, a sacred site near Mt Singleton. They tried to punish the Kangaroo Men with a ferocious storm of wind, rain, and lightning. The kangaroo men hid in a cave for several days and waited for the storm to pass. MNJ is a custodian of the creation story of the bush turkey, an animal that is celebrated in ceremony as well as being an important traditional food source. His designs allude to footprints in the sand. These distinctive designs depict the stone knife that Aboriginal people make from flint and sharp stones found in their locality. These images can also be related to male-initiation ceremonies. A favorite bush food, this derives from a real fruit tree, the Conkerberry, which MNJ remembers near Mt Singleton where he used to climb as a child. The design has been reinterpreted as a linear sand-painting pattern. Occasionally MNJ layers this pattern over existing designs. 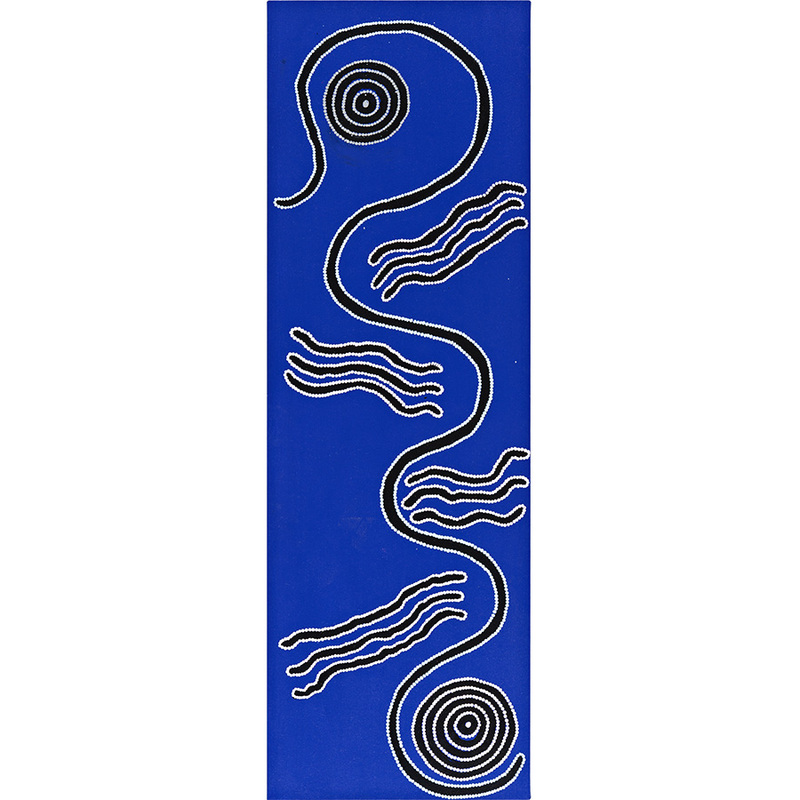 This design represents a small goanna living in the spinifex at the sites of Wapurtali and Waite Creek. MNJ interprets this story with bold, repetitive stripes relating directly to body-painting designs. The wavy line represents a rain path accompanied by lightning, being single or multiple strikes. 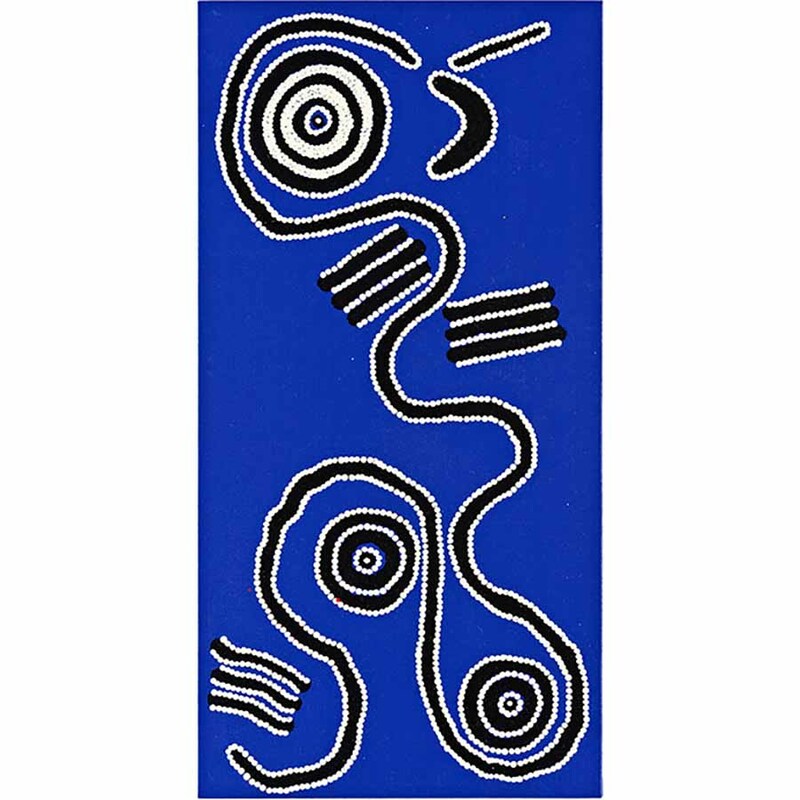 Since 1996 senior Warlpiri artist Michael Nelson Jagamara (MNJ) b. 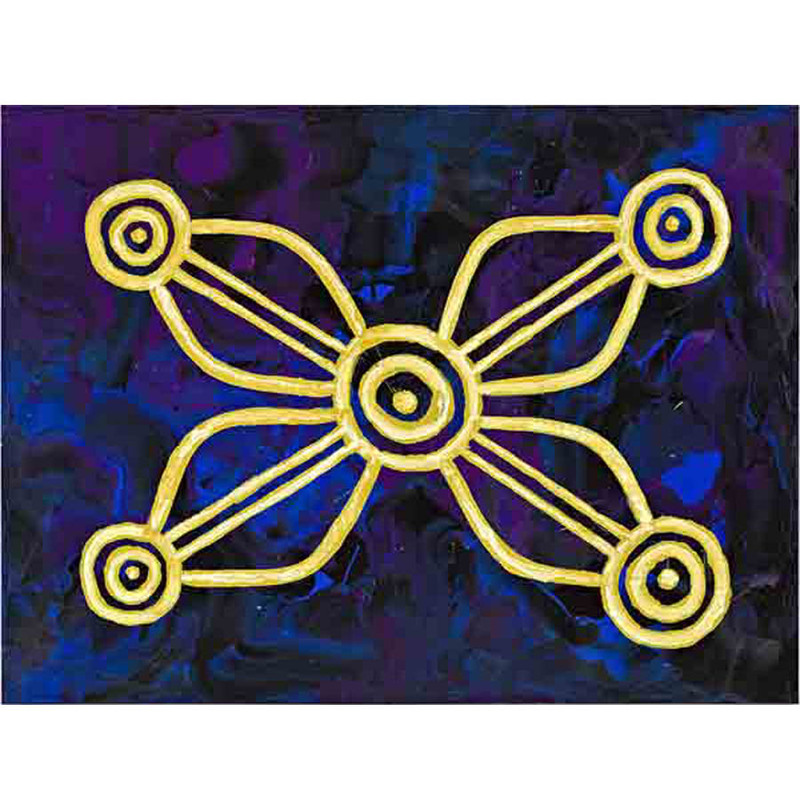 1946, has been working alongside other artists, studio assistants and technicians in the Brisbane based studios of FireWorks Gallery. 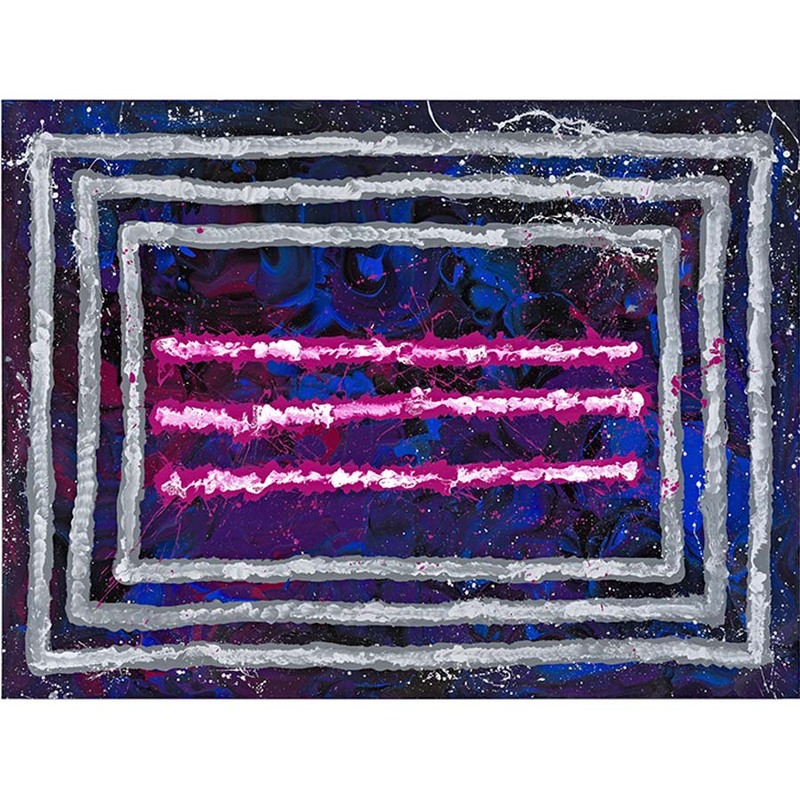 MNJ is continually developing and extending his contemporary art practice. Repeated visits have also allowed MNJ to witness first-hand how his work is received and understood in the city. These visits have also included the artist extending his stories and designs to sculptural formats. 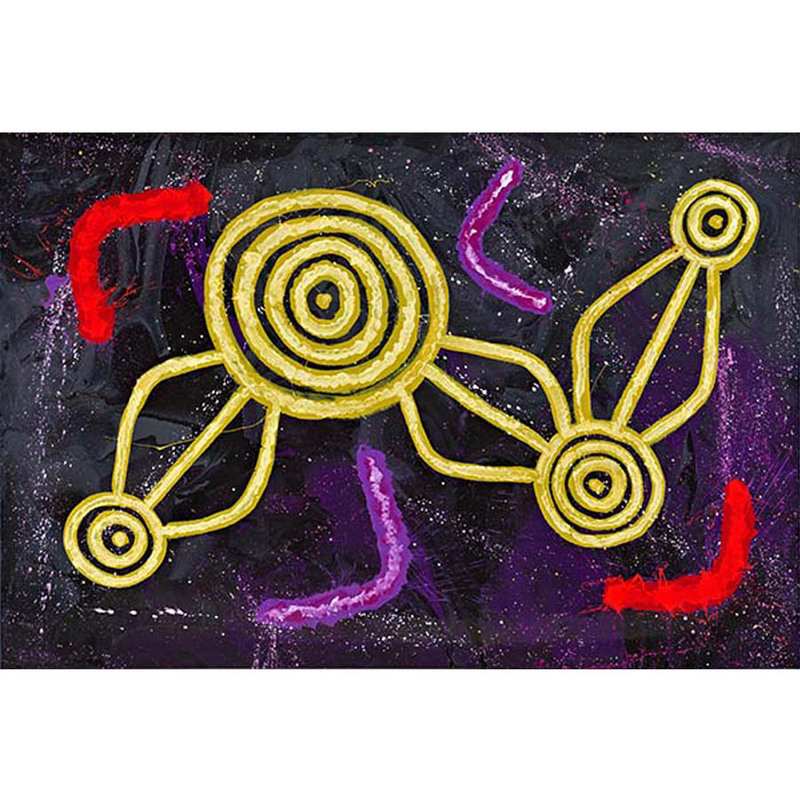 MNJ’s Lightning Strikes sculpture design has been distilled from the Warlpiri Rain and Water Dreaming narrative, which is used prolifically by the artist in his paintings on both the ground and the canvas. From the artist’s 2000 series of ink drawings, his Lightning motif was digitally modified and laser cut for sculptural purposes. Marquettes for potential public art commissions were fabricated using mild steel. The components were arranged individually, assembled in pairs, or stacked in larger sets. Five large (2.4m height) Lightning bolts were created as a suspended installation and exhibited at the IMA Brisbane in 2006 for the Shoosh exhibition. Early in 2014, MNJ re-formatted his design to create a more angular ‘crooked lightning’ motif. The upward jagged forms represent a big flash of lightning in a storm. Three strikes means a big weather event! The curved section of the sculpture base represents the travelling path of the storm. Lightning Strikes sculptures can be placed on its base in up to seven positions. This creates an opportunity for dynamic arrangements in clusters. A ‘funky format’ constructed from polystyrene, coated with industrial grade polyurethane & 2 pac paints provides lightweight forms in a range of colours and faux metallic finishes. These prototypes were launched at the 2014 Melbourne Art Fair, and were showcased alongside cast bronze and fabricated stainless steel versions in the exhibition Big Storm Between Two Places. The Lightning Strikes sculpture series is available as a limited edition range in three sizes: small, medium and large. They are suitable for both indoor and outdoor application and are available in two sizes with 2pac applied to polyurethane, or, as bronze and stainless steel commissions. 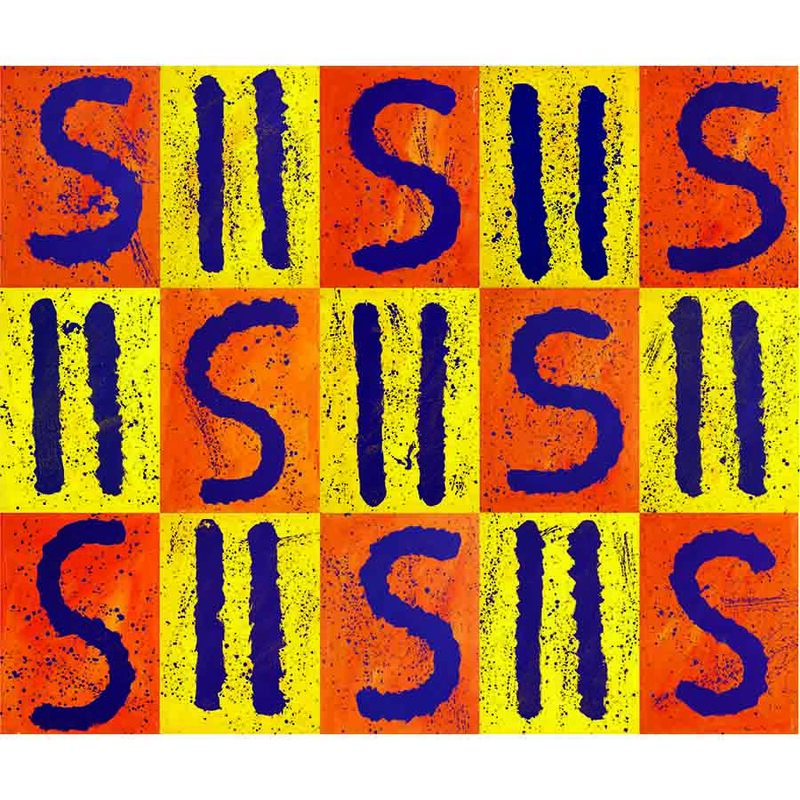 In September 2016, a limited-edition reproduction print was produced in Brisbane to commemorate the record auction sale of Jagamara’s seminal work Five Stories. 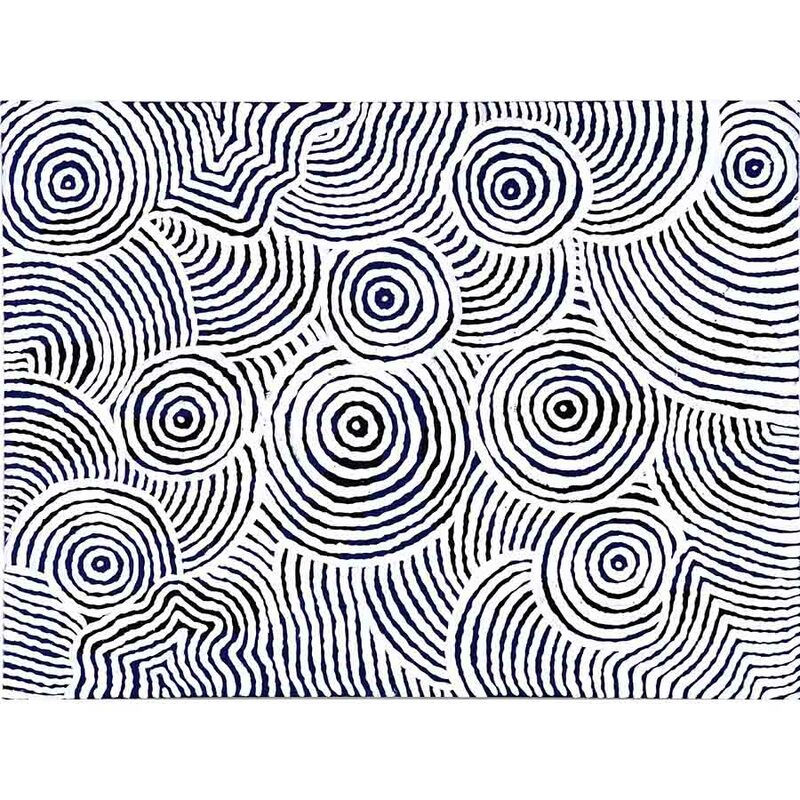 The artist travelled from Papunya NT to Brisbane to sign these prints.